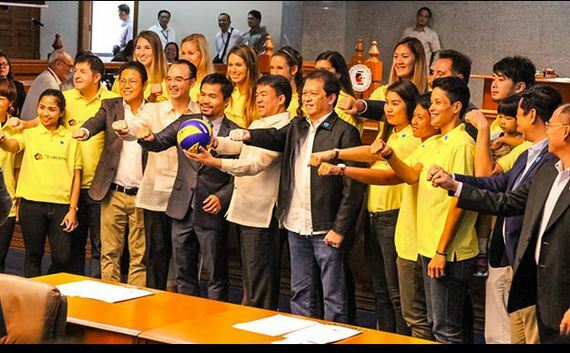 Shortly after Malacañang vouched its full support, the Senate rolled out the red carpet for the PSL-F2 Logistics squad that will campaign at the FIVB Women’s Club Championship from Oct. 18 to 21 at the Mall of Asia Arena. No less than Senate President Aquilino “Koko” Pimentel welcomed the squad, who will battle the best club teams in the world in this prestigious tourney organized by the Philippine Superliga and Eventcourt with TV5, Petron, Asics, BMW and F2 Logistics as official partners and Diamond Hotel as official residence. Sen. Alan Peter Cayetano, local organizing committee honorary president, said this would be the first time for the country to host a massive women’s volleyball tournament such and it is only fitting for the government to do everything to support it. 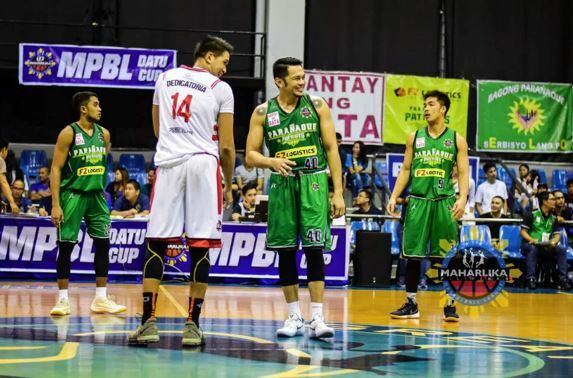 “The best club teams in the world will be arriving starting this week,” said Cayetano, referring to the spectacle that also has Rexona, Philippine Sports Commission, Mall of Asia Arena, Foton and Price Waterhouse Cooper as official sponsors and Turkish Airlines as official airline. Gracing the 20-minute Senate appearance were team captain Rachel Anne Daquis, Jovelyn Gonzaga, Mika Reyes, Jaja Santiago, Kim Fajardo, Frances Molina and Jen Reyes as well as Serbian mentor Moro Branislav, Japanese trainer Shun Takahashi and deputy Benson Bocboc. Foreign players Ekaterina Krivets of Russia, Yevgeniya Nyukhalova of Ukraine, Tichaya Boonlert of Thailand, Yuri Fukuda of Japan, Stephanie Niemer and Lindsay Stalzer of the United States and Lynda Morales of Puerto Rico were also there. 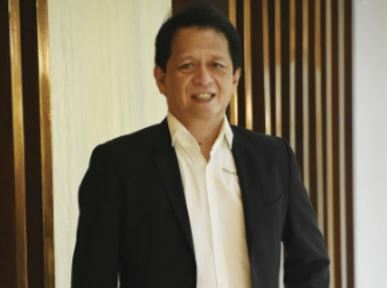 PSL president Ramon “Tats” Suzara led the group that is also backed by Mikasa, Gerflor and Jinling Sport. PSL-F2 Logistics Manila will compete in a very strong field composed of VakifBank Istanbul and Eczacibasi VitrA Istanbul of Turkey, Hisamitsu Springs Kobe of Japan, Bangkok Glass of Thailand, Pomi Casalmaggiore of Italy, Volero Zurich of Switzerland and Rexona-Sesc Rio of Brazil.